In accordance with the ordinances concerning the equipment of Louis XI or Charles the Bold troops, this dagger is so long that it is, in fact, almost a short sword ! 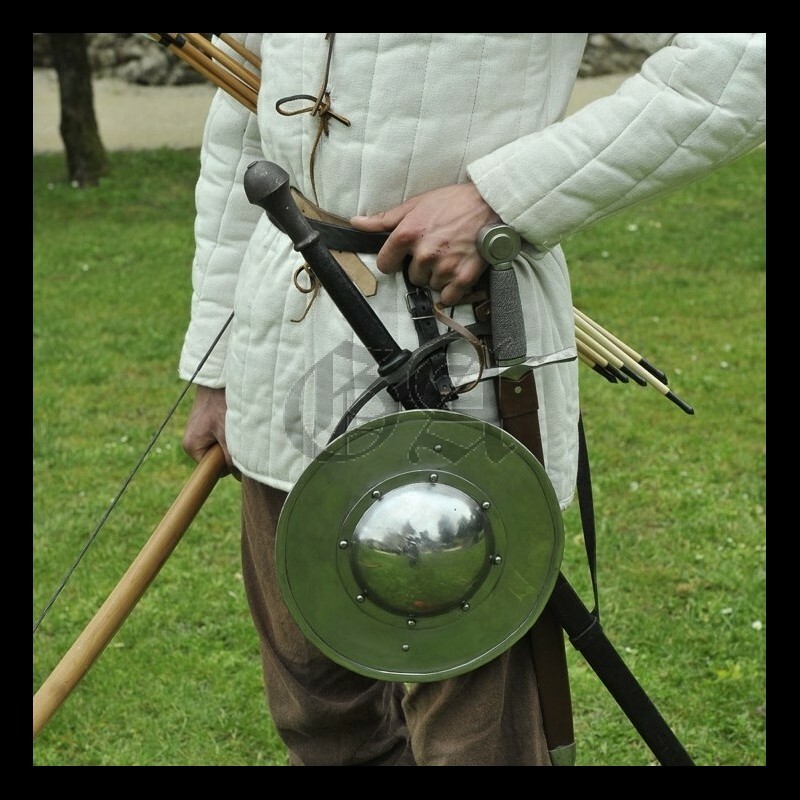 Worn at the belt, with a buckler shield, it will perfectly complete the equipment of a billman or an archer. 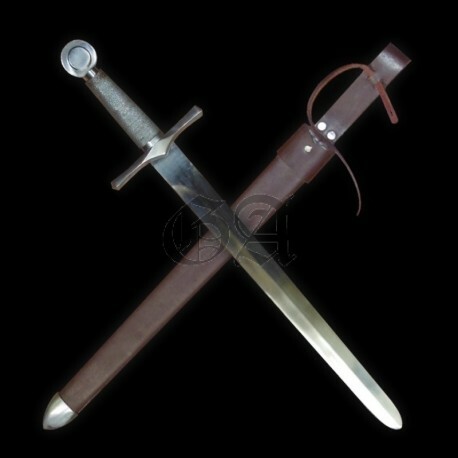 Of course men-at-arms could also find this dagger quite convenient as a backup weapon. In Burgundian ordinance companies it was compulsory for each man-at-arms to have one hanging on the left side of his saddle. It is the ideal weapon for equestrian games, like cutting the apple or catching the rings. Its very light weight is usually much appreciated by all those who do not want to burden themselves with a heavier weapon.